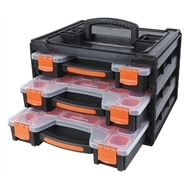 This 3 Piece Storage Box Organiser is a handy, durable, light weight, and compact storage solution that can be stacked or wall mounted. 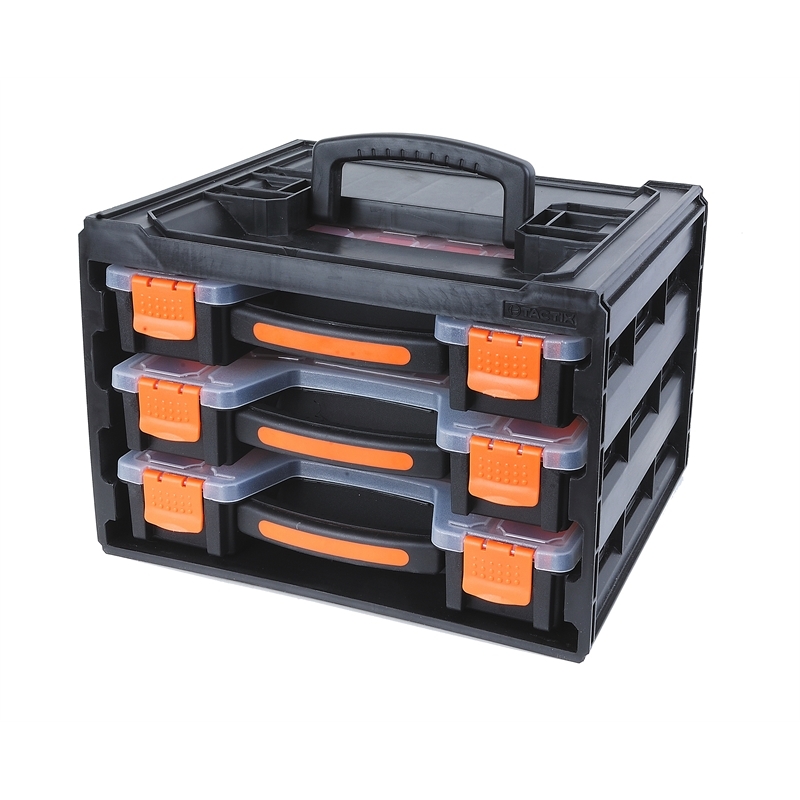 It features 3 individual boxes, housed in a slide out storage rack, which is perfect for organising small items including nuts, bolts, washers, screws and drill bits. 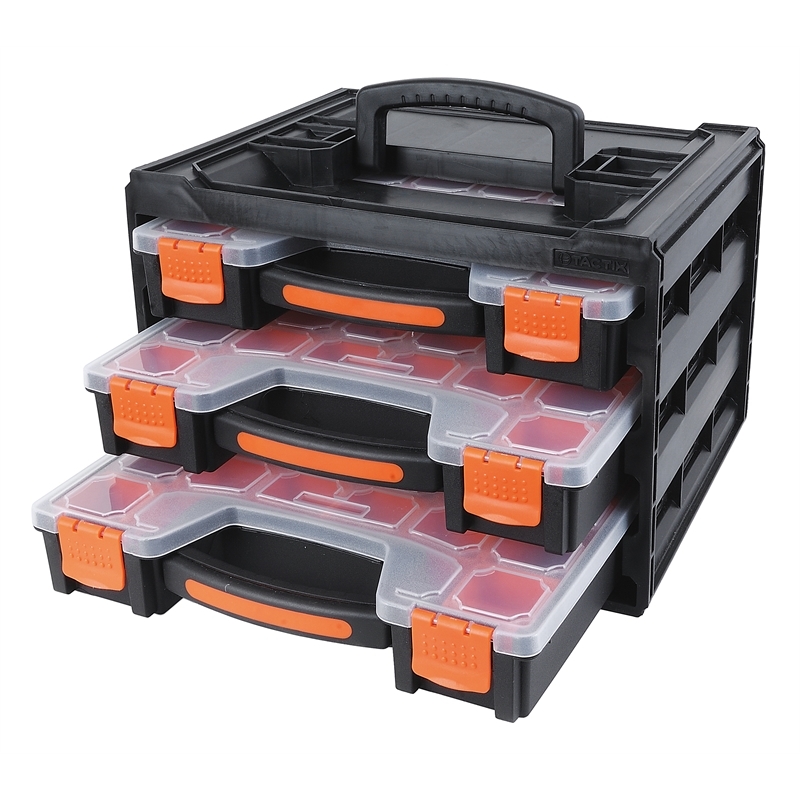 With 15 removable storage tubs you can customise compartments to suit your needs. 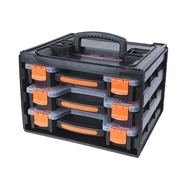 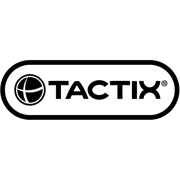 They also sport translucent lids for easy identification of contents and a carry handle that provides excellent portability.